Colombo Design Studio (CDS), an Industrial Design and Innovations Consultancy, has continuously worked with Atlas Axilia (Ceylon Pencil Company) over the past five years to create a range of water drinking bottles and other stationery products to compete in the highly competitive entry to mid-level market in Sri Lanka. The purpose of the long-term collaboration is to bring new and exciting products to the Sri Lankan marketplace that are both designed and manufactured locally, thus reducing the import burden on the economy and increasing the pride and use of local design and innovation, the CDS said in a media release recently. “The true merit of this investment in design can be readily seen from the increase in market share and sales for Atlas: In the last five years the sales numbers have gone from 200,000 bottles per year to over 1 million. Realizing that design can be a powerful conversion tool with the ability to turn strategy into tangible business results, companies in the healthcare, technology, economics, transportation and entertainment sectors are moving towards spending more time and investment in optimised design strategies to support their next phase of growth,” it said. 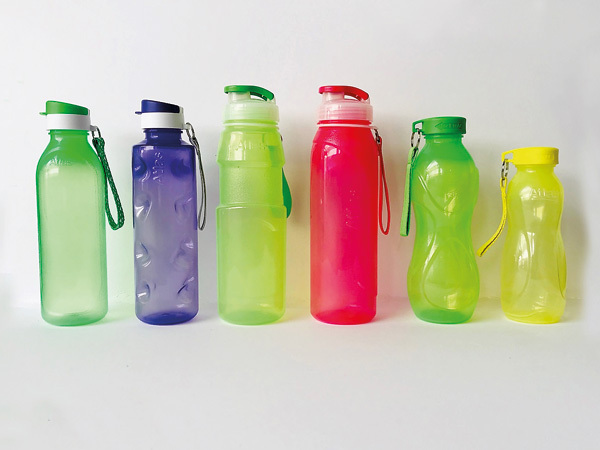 The initial requirement was for a range of three designs to suit school children from 8 to 16 years, then a bottle with a straw and lid for young children and subsequently larger bottles to suit older kids and adults. Over the past five years or so CDS has engaged to keep the range of bottles up to date as well as add new designs into the mix, with over 10 unique Atlas branded bottles now on the market. At the time the two companies met Altas already had a strong position in the market for products such as the Chooty pen, Felta (felt tip colouring pens) and other stationery items, but not such a great market share in the reusable plastic water bottle space. They felt it was time to invest in some design and get their own range of water bottles that would be designed and made here in Sri Lanka.